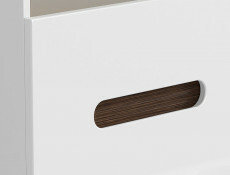 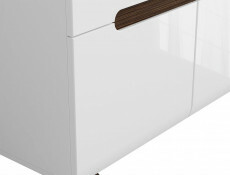 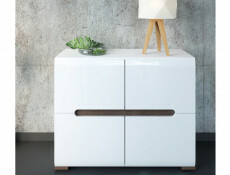 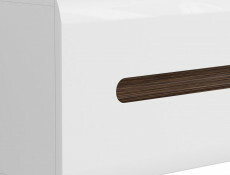 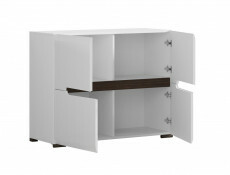 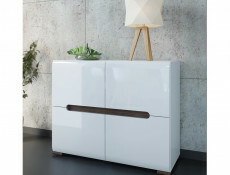 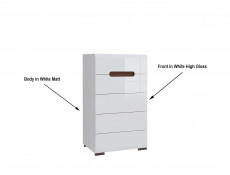 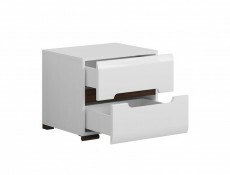 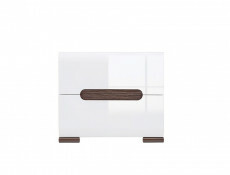 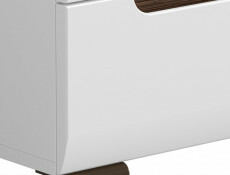 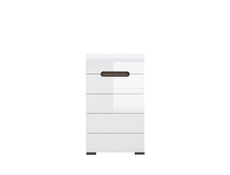 Modern Bedside cabinet side table with 2 drawers in White Gloss as one of the colour options from AZTECA furniture range. 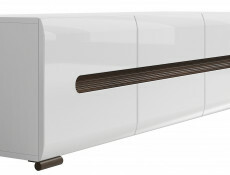 Size: 50 cm (W); 43 cm (H); 45 cm (D). 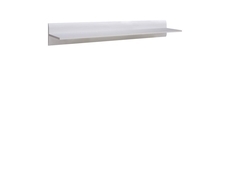 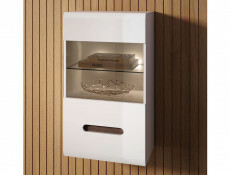 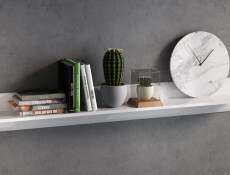 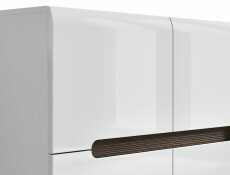 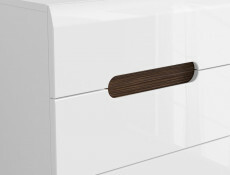 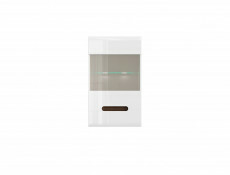 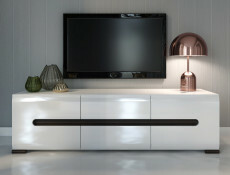 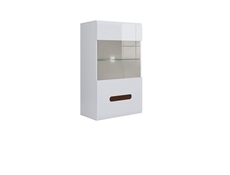 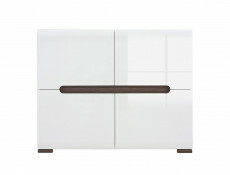 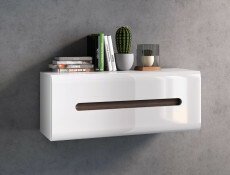 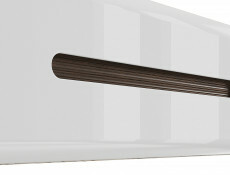 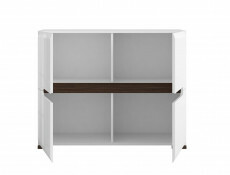 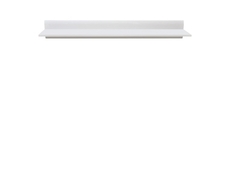 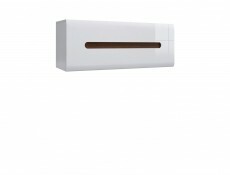 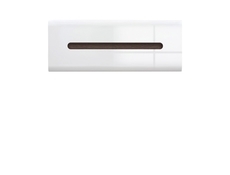 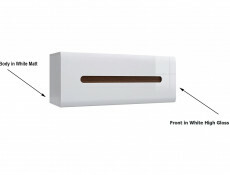 Wall mounted cabinet also available sought after White High Gloss colour from modern AZTECA furniture range. 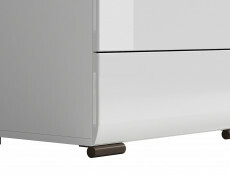 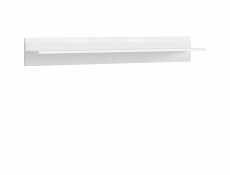 A pull up door with gas strut hinge ensures stay open and soft close. 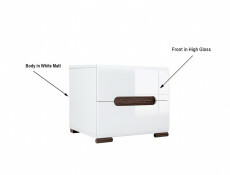 Size: 105 cm (W); 41 cm (H); 35 cm (D). 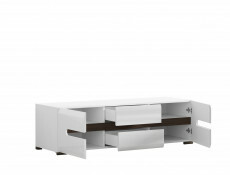 Size: 60 cm (W); 102 cm (H); 35 cm (D). 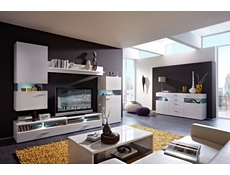 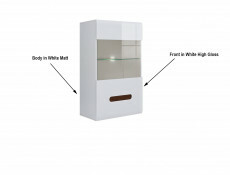 AZTECA furniture range offers a wall-mounted part glazed display cabinet. 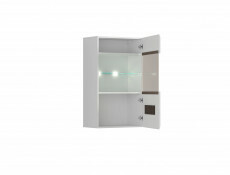 1 glass shelf insert placed behind the centre of the glazed panel. 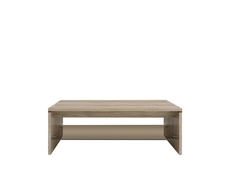 Size: 65 cm (W); 40 cm (H); 110 cm (L). 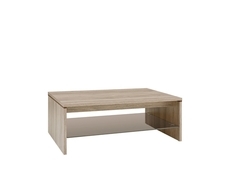 AZTECA furniture range offers an occasional coffee table with glazed shelf underneath. 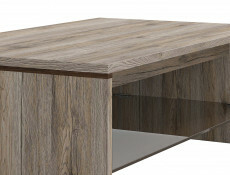 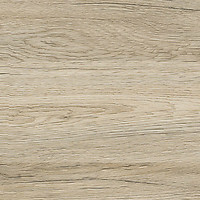 AZTECA is a functional, minimalist, designer furniture range available in Oak San Remo (body and tabletop) and Canterbury Oak (insert). 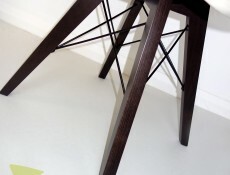 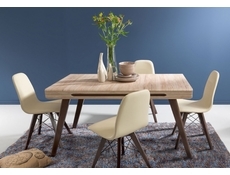 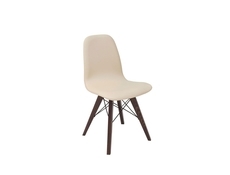 Charles Eames style dining chair from AZTECA ULTRA dining room furniture range. 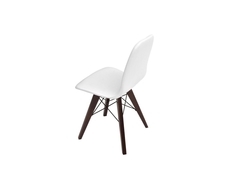 It is functional, minimalist and solidly constructed with solid wood legs, metal rod supports and wipe able eco leather, padded seat. 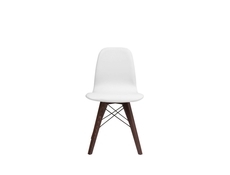 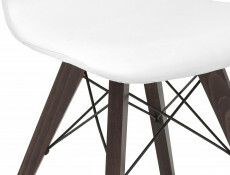 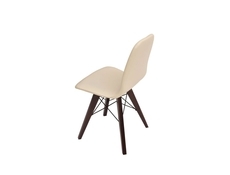 This chair design is available in two colour options of White or Beige. 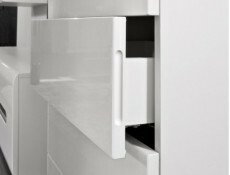 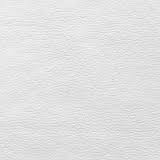 Rounded edges along the top and bottom give a flowing form. 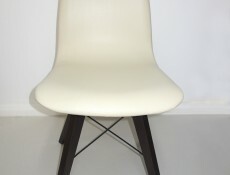 Size: 42 cm (W); 86 cm (H); 45 cm (D). 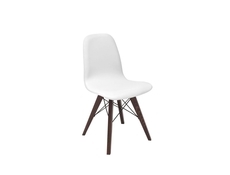 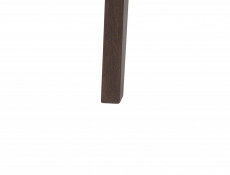 Chairs come fully assembles which means durability and stability of factory finished item. 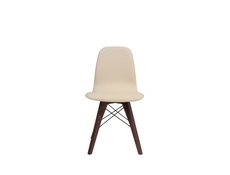 Charles Eames style dining chair from AZTECA ULTRA dining room furniture range. 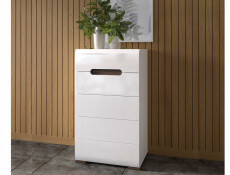 It is functional, minimalist and solidly constructed with solid wood legs, metal rod supports and wipe able eco leaher, padded seat. 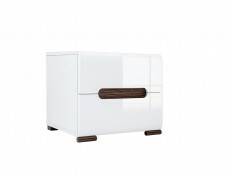 Size: Size: 42 cm (W); 86 cm (H); 45 cm (D). 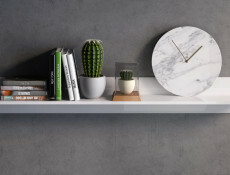 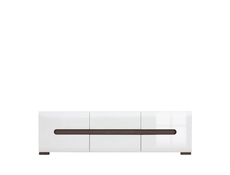 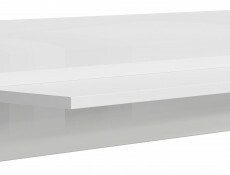 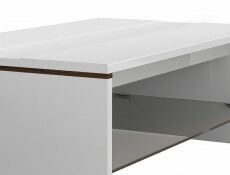 Modern White Gloss Rectangular Coffee Table with tinted glass shelf from contemporary Azteca living room furniture range. 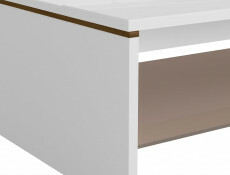 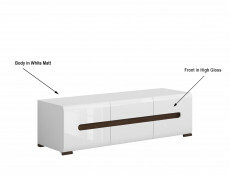 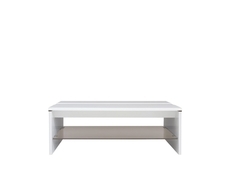 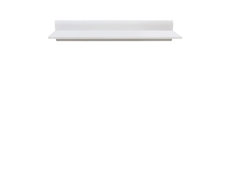 AZTECA coffee table is a functional, minimalist, designer furniture piece available in White High Gloss (tabletop) and White (sides) with Canterbury Oak insert on the sides between side and top panel. 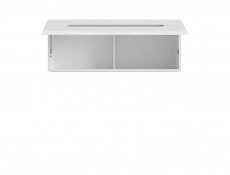 Modern Wide TV Stand Cabinet Unit with Drawers in sought after White High Gloss or Oak finish from contemporary Azteca living room furniture range. 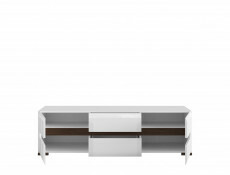 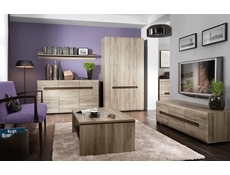 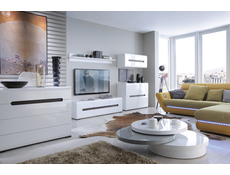 AZTECA living room furniture range offers a wide TV unit with side opening door on the left and right and 2 drawers in the middle for DVD storage. 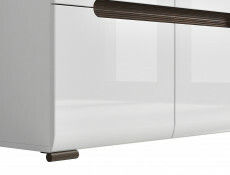 Size: 150 cm (W); 43 cm (H); 47 cm (D). 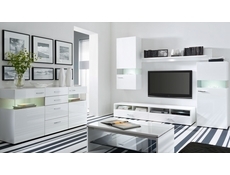 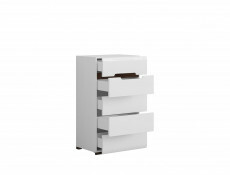 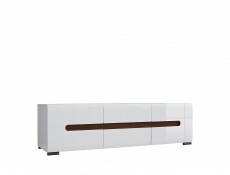 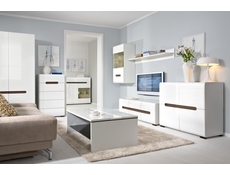 Modern tallboy tall chest of drawers with 5 drawers in White High Gloss or Oak finish from AZTECA furniture range. 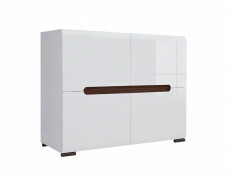 Size: 104 cm (H); 60 cm (W); 41 cm (D).